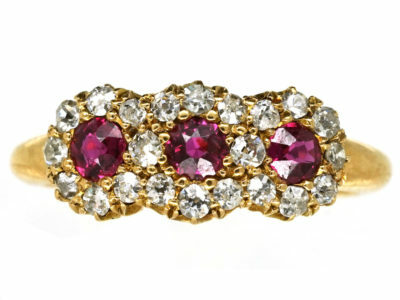 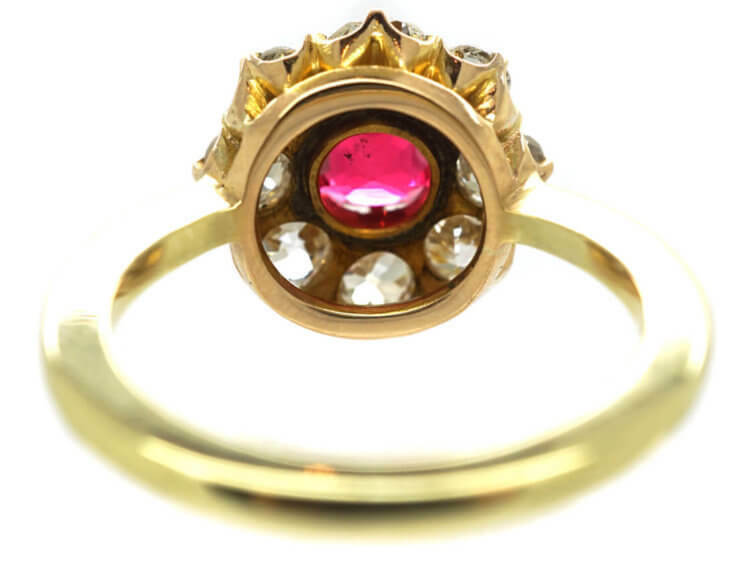 This is a large ring set with a deep reddish pink spinel. Spinels are natural stones and the red colour that closely resembles a ruby is very sought after. 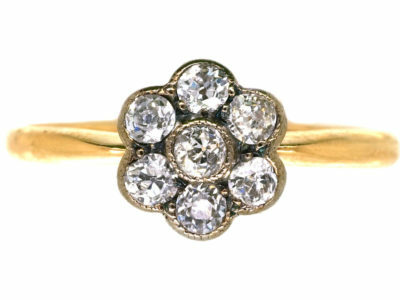 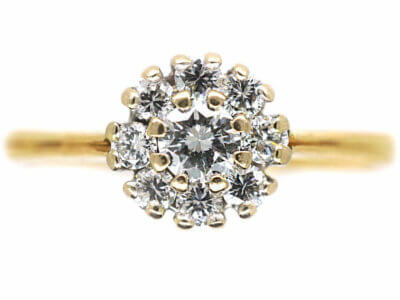 It is surrounded by good white old mine cut diamonds. 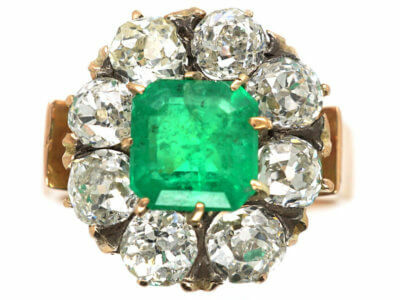 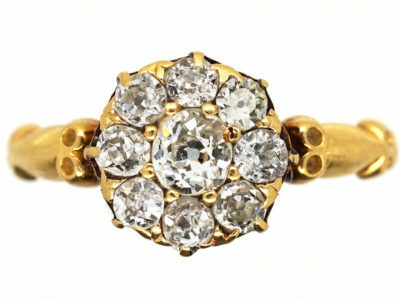 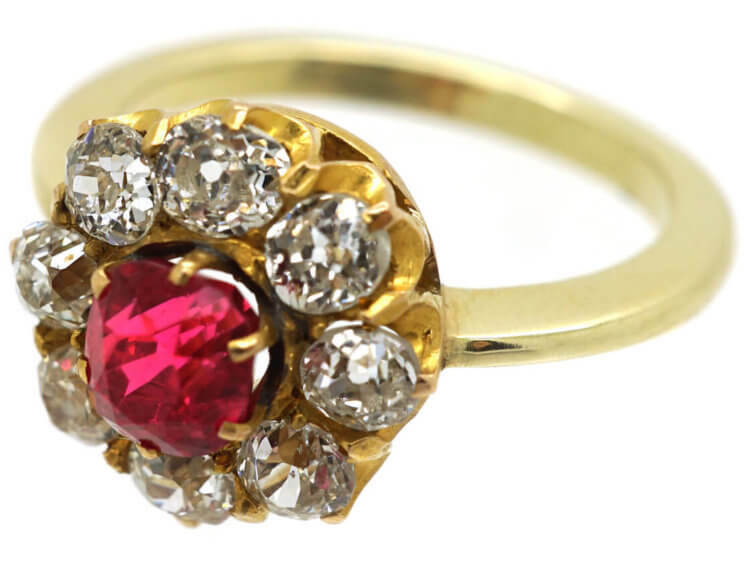 It was made circa 1880 and was probably sold as a ruby at the time! 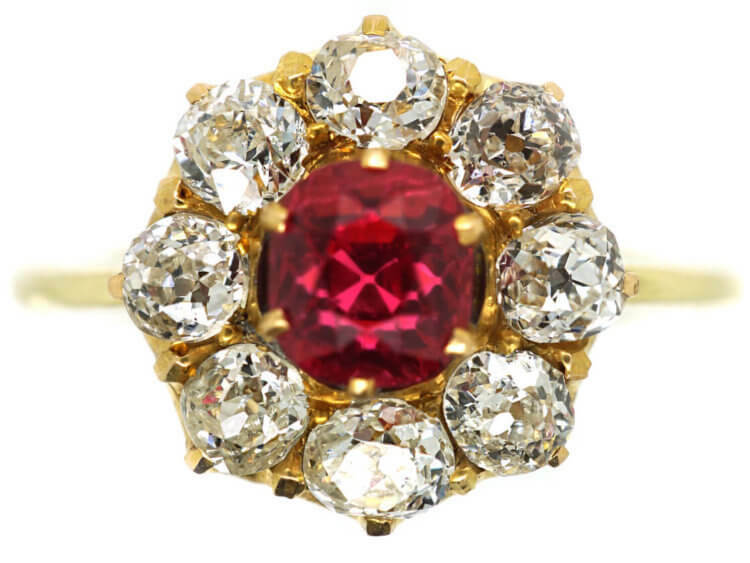 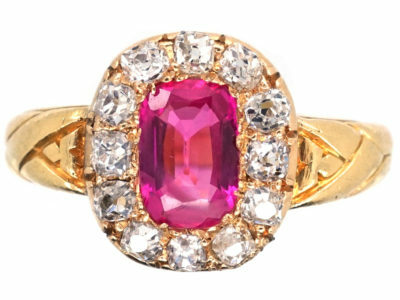 In antique jewellery, one will hardly ever encounter spinels although the jewellers from days gone by may have used them as rubies and did not realise that red spinels are even rarer. 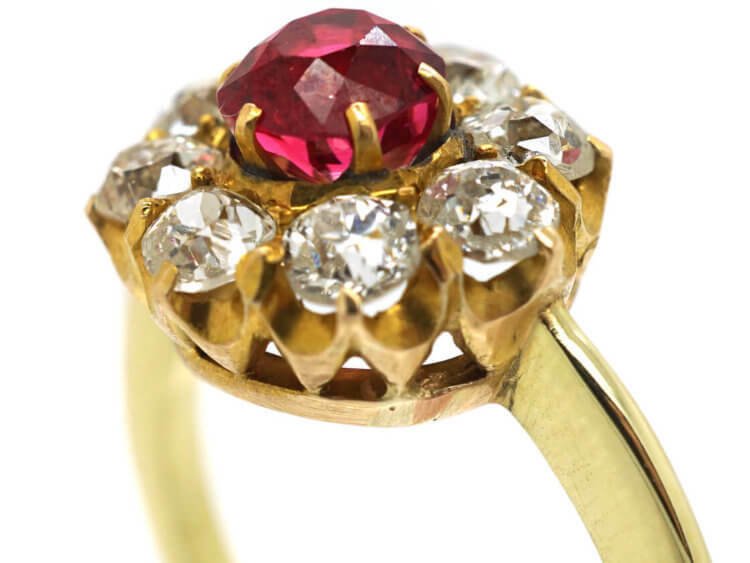 A famous example is the ‘Black Prince’s Ruby’ which was actually a large, irregular cabochon red spinel weighing 170 carats (34 g) set in the front of the United Kingdom’s Queen Elizabeth II’s State Crown. 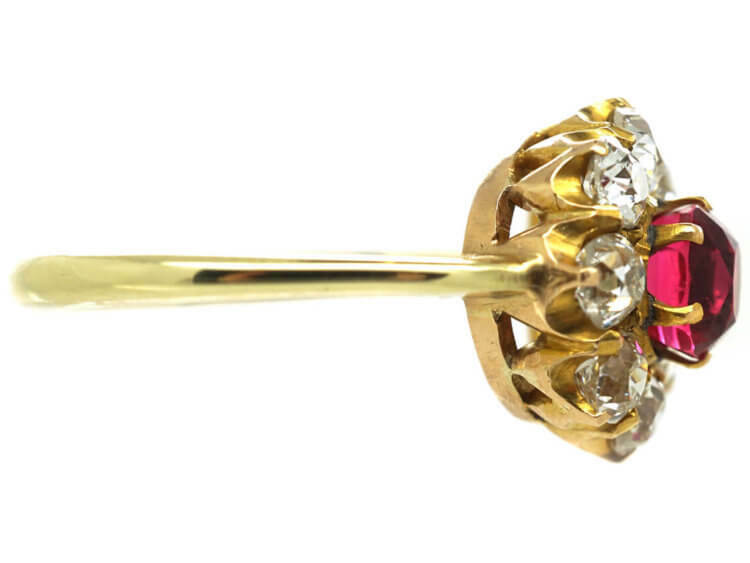 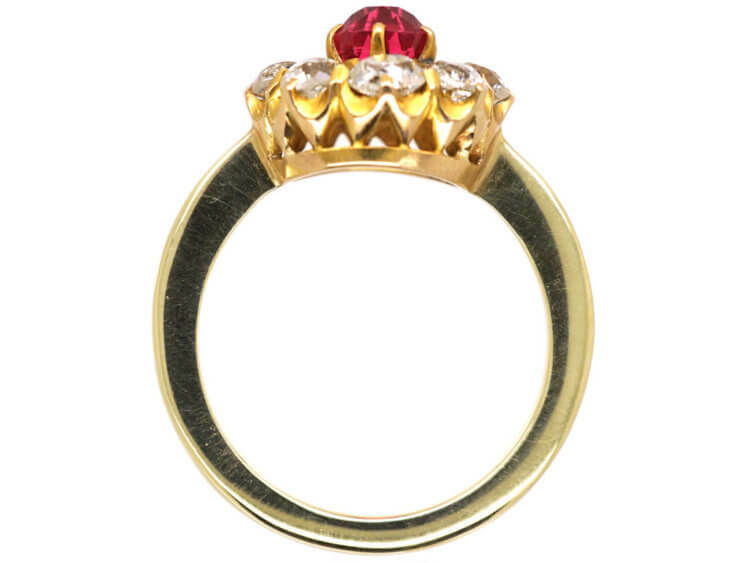 The spinel is one of the oldest of the Crown Jewels, with a history dating back to the middle of the 14th century. 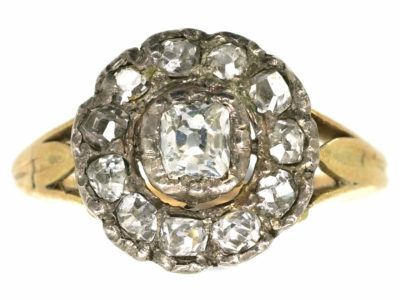 It has been in the possession of England’s rulers since it was given in 1367 to its namesake, Edward of Woodstock,”Black Prince”. 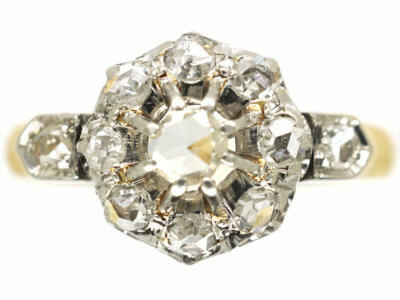 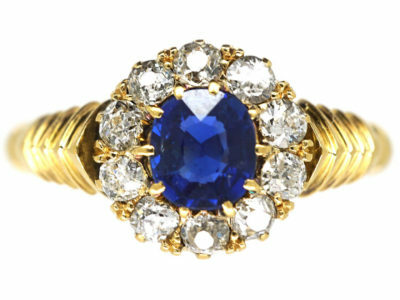 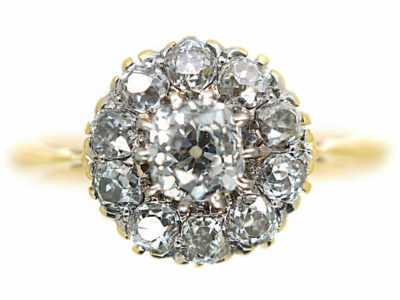 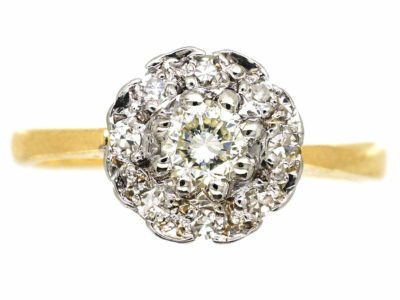 So this ring would make a very impressive engagement ring. 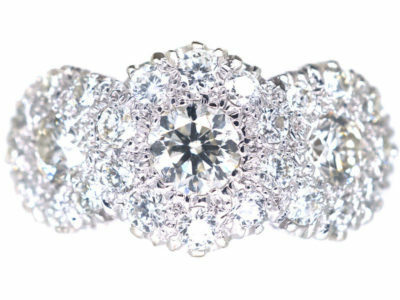 Your very own crown jewel!